A number of weeks back, I had the wonderful opportunity of reviewing the famous Samsung 830 SSD and while the drive is still in the upper echelon of drives with all things considered, the performance of the drive just isn’t up to snuff when put in comparison to all the new drives popping up on the market these days. After all, the Samsung 830 was unveiled about a year ago, and in technology years, a year is a long time. So right now, I’m sitting here in Seoul, Korea witnessing the launch of Samsung’s newest SSD, the Samsung 840 and the Samsung 840 Pro. Yes, that’s right people, Samsung is introducing two SSD models – one model geared towards the general user, the Samsung 840, which is a 21nm TLC (Triple Level Cell) Toggle NAND based SSD, while a second model is geared towards enthusiasts/enterprise, the Samsung 840 Pro, which is based off of Samsung’s new 21nm MLC Toggle NAND. Now Samsung is quite proud of their new SSD offerings, and with good reason too. Like the Samsung 830, the Samsung 840/840 Pro is designed and manufactured completely in house. There’s no sourcing of controllers from 3rd parties such as Marvell or SandForce, and there’s no sourcing of NAND from 3rd parties such as Toshiba/SanDisk or IMFT. 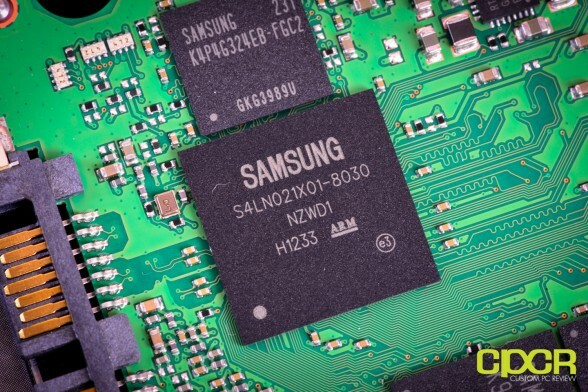 This means that Samsung is able design, manufacture and handpick NAND that’s most compatible with the controller/firmware and has the luxury of spending tons of time in validation testing. 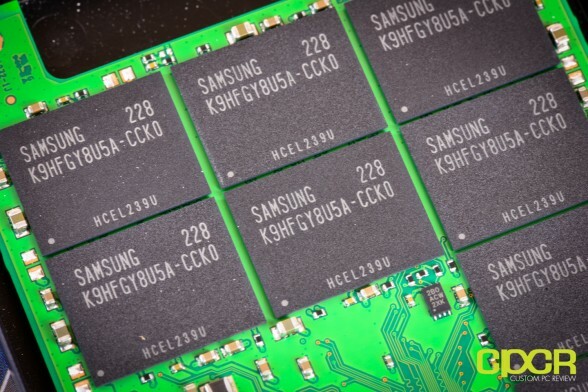 Moreover, Samsung is also better equipped to fix any SSD issues that crop up on a timely basis as they don’t need to rely on a 3rd party to help push out new firmware. This is very important especially for those who remember all the flak OCZ took with their SandForce based Vertex 3. That said, today we’ll be reviewing the Samsung 840 Pro SSD, Samsung’s top tier 840 series SSD geared towards enthusiasts and enterprise applications. 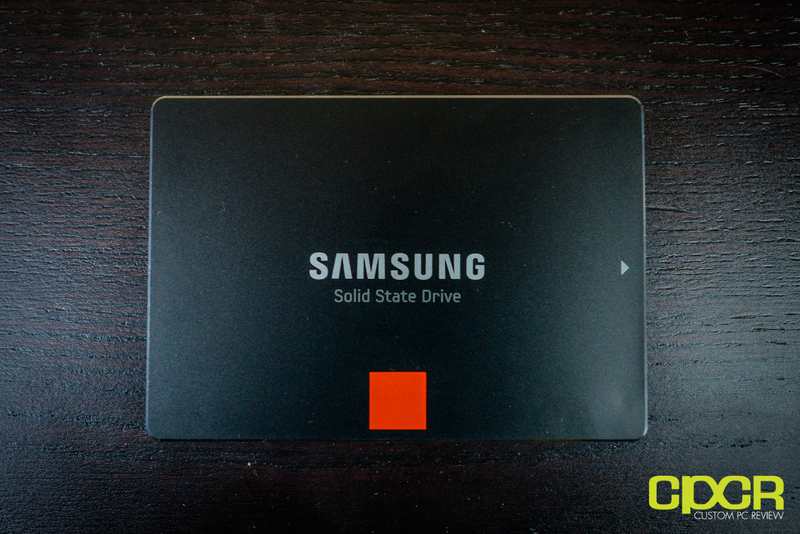 Before getting any further, let’s take a look at a specifications comparison between the older Samsung 830 SSD and the new Samsung 840 Pro SSD. 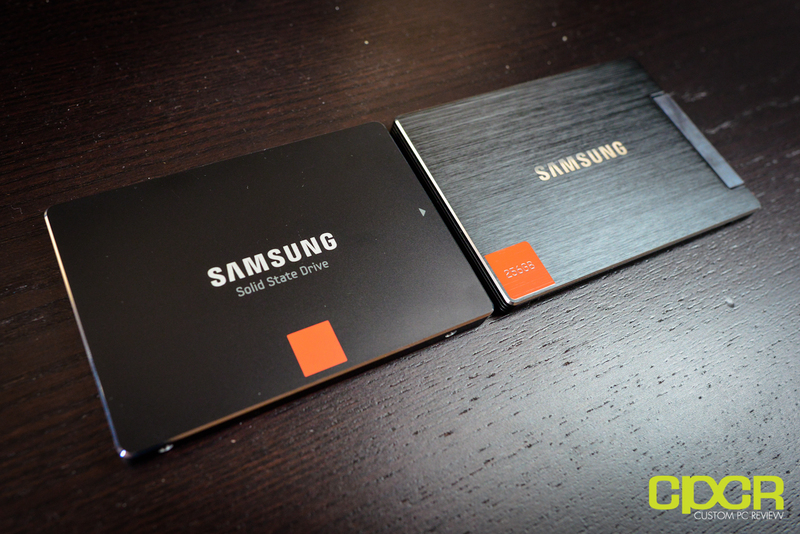 For our comparison, we’ll only do a comparison between the 256GB edition of the drives, but be aware that both the Samsung 830 and Samsung 840 Pro is available in a number of capacities. Overall, the specifications are a mixed bag here. Sequential reads are bumped up to a nice 540MB/s while sequential writes are only bumped up to 450MB/s. That said, do remember that the Samsung 840 Pro will perform identically for both incompressible and compressible data. While SandForce drives are typically able to reach a maximum of 500MB/s+ sequential reads/writes, they can only reach the 500MB/s+ throughput when the data transferred is compressible. Also important to note is the power usage here. As the Samsung 840 Pro is 7mm in thickness, it’s quite apparent that it was designed with notebook users in mind. As such, any amount of power savings however slight will amount to at least some battery life savings. According to Samsung’s specifications, they’ve managed to shave off about 72% power draw under load and about 70% power draw when idle, which should significantly impact battery life on notebooks. With all that, let’s take a look at Samsung’s new 840 Pro SSD and see if it’s a worthy successor to the Samsung 830. Since I only received the bare Samsung 840 Pro SSD, we’ll only be taking a look at the bare drive itself. The Samsung 840 Pro is expected to be sold in bare drive form or by bulk, which is mostly for system integrators. As expected, the Samsung 840 is an amazing looking SSD with a nice smooth metal finish they’re calling the “sandblasted” finish. This is slightly different from what we saw on the Samsung 830, which had the “hairline” finish which is more of a brushed aluminum finish. That said, both drives look awesome either way. 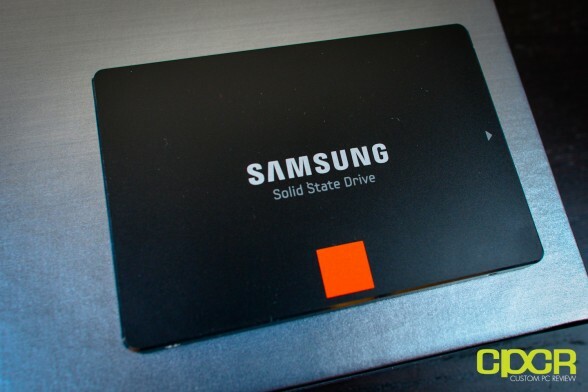 Also with this drive, Samsung has moved the little orange square from the bottom left to the bottom center of the drive and has also ditched the capacity branding as well. Update 09/30/12 – The Samsung 840 Pro will not come with risers. The retail edition of the drive will only come with a software disk and some documentation. Currently, Samsung has no plans to offer a desktop/notebook kit. Those purchasing the Samsung 840 however, may purchase the desktop/laptop kit edition, which will cost an additional $20 premium over the bare drive, but will include accessories such as the riser. Here’s a look at the connectivity options on the Samsung 840 Pro. As expected, we’ve got a SATA 3 6Gb/s port along with the SATA power port in its usual location. Nothing special here. Opening up the SSD, we get the fairly cramped PCB of the Samsung 840 Pro 256GB. This is very similar to what we saw with the Samsung 830. One notable difference is that the thermal pads that were present on the Samsung 830 no longer exist on the Samsung 840 Pro. This is most likely due to the much lower power draw of the Samsung 840. Lower power draw, less heat. In order to slim down enough to hit the 7mm form factor, the backside of the PCB is empty. This is the same as the Samsung 830. 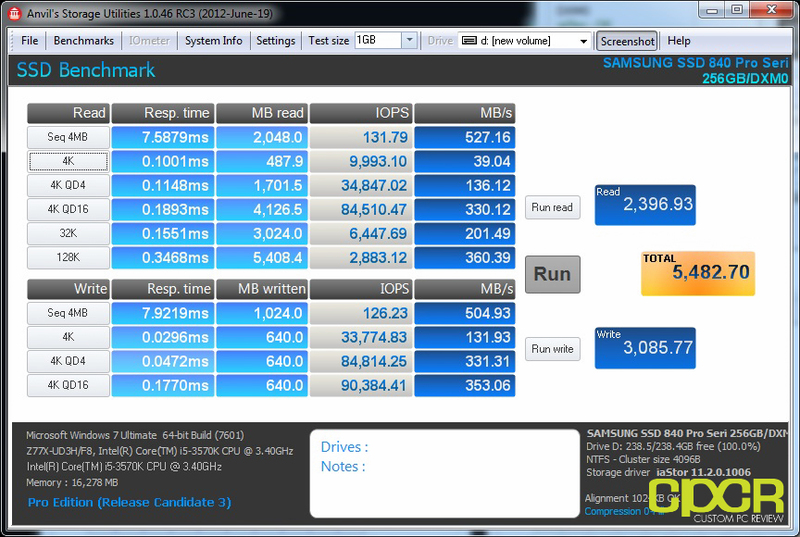 Moving on, we get the new 4th generation tri-core Samsung MDX Cortex-R4 based SSD controller running at 300MHz. 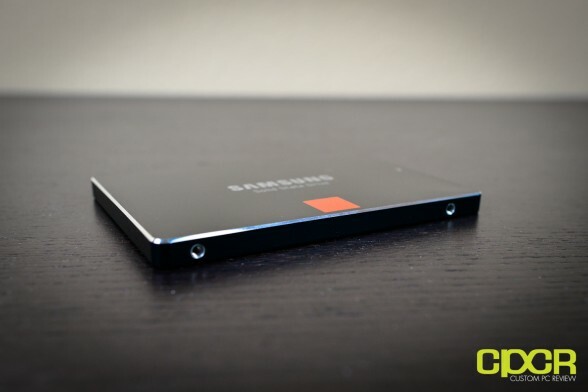 This is an in house, exclusive controller only available on Samsung SSDs, which gives Samsung much better flexibility when it comes to pushing out firmware updates and for validation testing on new NAND revisions. The specific model number on this controller is S4LN021X01-8030. 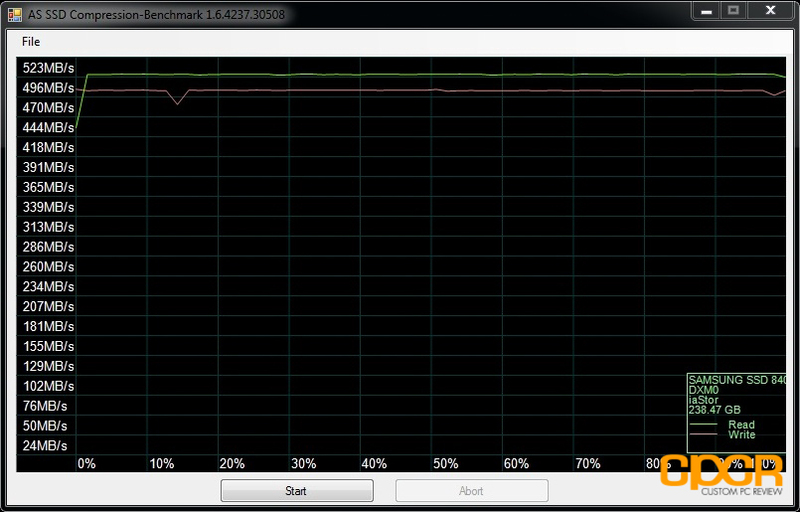 This is an update from the older Samsung MCX (S4LJ204X01-Y040) tri core ARM9 based SSD controller. While not much is really known about the new MDX controller’s design (or the older MCX controller for that matter), Samsung claims that the tri-core design is beneficial as it allows a number of different simultaneous operations to occur. For example, while one core is processing writes, the second core could simultaneously process reads while the third core could be handling drive optimization/garbage collection. Similar to what we saw with the Samsung 830, the Samsung 840 Pro also includes a 512MB DDR2 DRAM cache. This seems to be a new revision from the Samsung 830 days as the model number on this specific chip is K4P4G324EB-FGC2. Samsung claims that this cache helps improve performance and maintain stability. Finally, we’ve also got Samsung’s latest 21nm DDR Toggle Mode MLC NAND 2.0. The specific model on this new NAND is K9HFGY8U5A-CCK0. 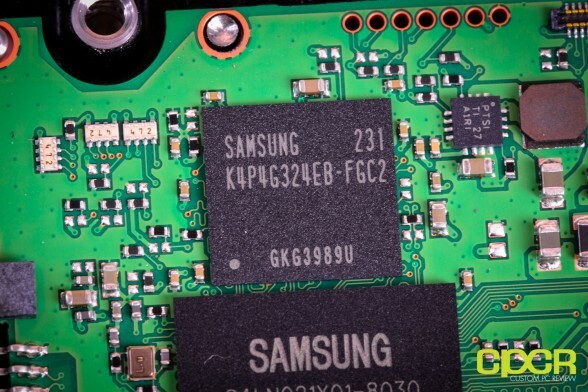 So far, I’ve never seen this NAND ever before and Samsung claims it’s capable of up to 400Mbps data transfer rates, which should make it significantly faster than the 27nm Toggle Mode NAND used on the Samsung 830 which was rated at 133Mbps. Kicking off with ATTO Disk Benchmark, my initial thoughts about the Samsung 840 Pro simply based off the specifications were immediately proven wrong. 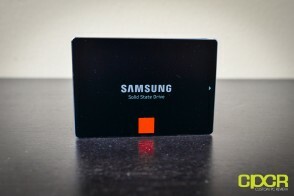 In fact, it’s quite apparent that the Samsung 840 Pro is going to be one very fast SSD. Sequential reads max out at about 560MB/s while sequential reads max out at around 537 MB/s depending on the queue depth. At smaller depths, the Samsung 840 Pro’s performance is among the fastest I’ve ever seen with sequential writes topping out at 533 MB/s and sequential reads topping out at 553 MB/s. At higher queue depths, the SSD’s write performance does dip slightly, but read performance is maintained. That said, the advertised speed for the 840 Pro is 540 MB/s sequential reads and 450 MB/s sequential writes so Samsung is definitely advertising fairly conservatively here. One thing to note is that this type of performance is typically seen only on SandForce based SSDs which excel when working with highly compressible data. The only other SSD on the market without a SandForce controller which can perform at such a level in ATTO Disk Benchmark is the OCZ Vertex 4, which is capable of similar 500MB/s+ sequential read/writes. With Crystal Disk Mark, we can see that it Samsung has designed the 840 Pro to perform well in all scenarios no matter if the data is highly compressible or highly incompressible. Sequential reads and writes top out in the 500MB/s+ range, which is a slight bump in sequential reads and around a 100MB/s performance bump in sequential writes when compared to the Samsung 830. However, what’s important to notice is that with the Samsung 840 Pro, read/write performance in smaller 4K and 512K file sizes have received a considerable bump. Since most OS and application data transferred consists of small files under 512K, this will translate into a system that feels faster and more responsive. Whereas AS SSD tells us pretty much the same thing we’ve already seen in Crystal Disk Mark, it does have a very useful compression benchmark that shows us what the range of performance looks like over different levels of compression. What we see with the Samsung 840 Pro is pretty much what I’d consider the ideal result as performance will be very consistent no matter if the data is incompressible or not. Whereas with SandForce based drives, performance will drop by a couple hundred MB/s, this is not an issue with the Samsung 840 Pro. 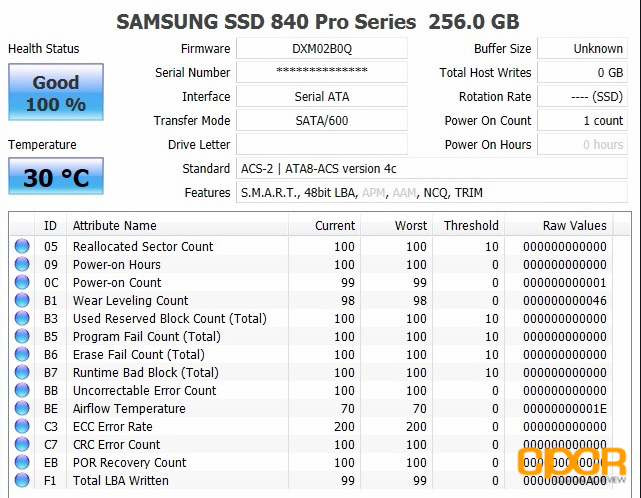 Additionally, while this isn’t the best measure of performance, the Samsung 840 Pro is currently the highest scoring SATA based drive I’ve tested so far in AS SSD with a total score of 1,232. 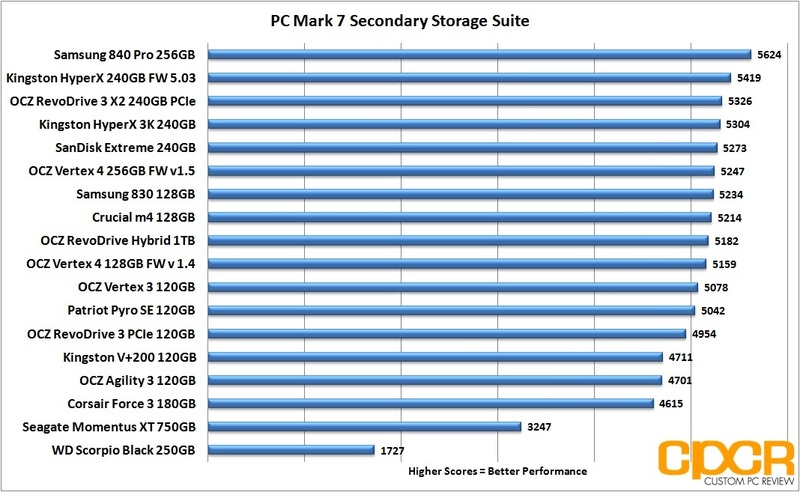 Anvil Storage Utilities simply confirms what we’ve been seeing so far in all the other benchmarks. Top performing sequential reads/writes, top performing random reads/writes, and more record breaking scores here as well. 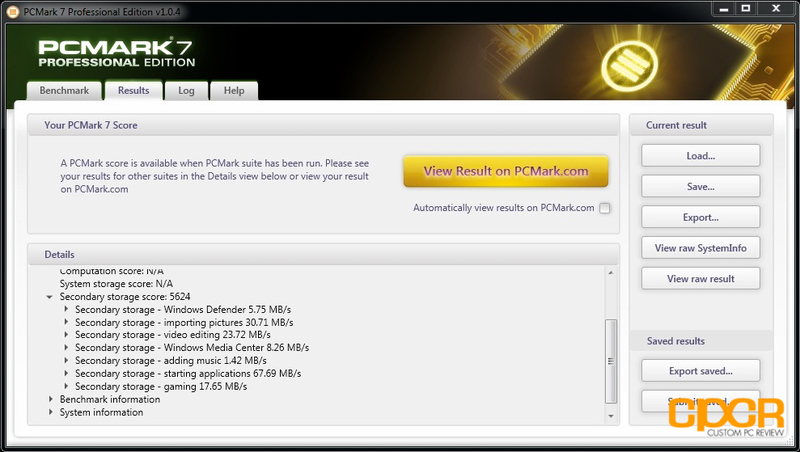 The PC Mark 7 storage test tests the SSD under many different real world tests such as gaming, video editing, etc. This is most representative of the SSD’s performance under real world situations and therefore is the only benchmark used for comparison between different SSDs. 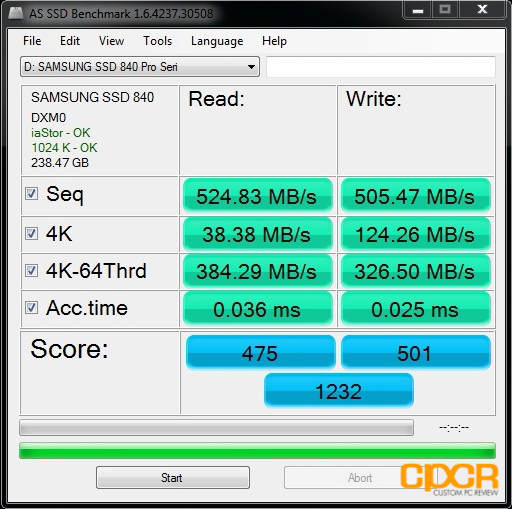 In PC Mark 7, the Samsung 840 Pro again dominated every other SSD tested so far coming in with a total score of 5624 points. This is over 200 points faster than the next closest drive in terms of performance. This is without a doubt due to the Samsung 840 Pro’s superior capability when working with random data as well as incompressible data. So for those who don’t want to read the entire spiel, let me summarize what’s coming up. The original Samsung 830 had reliability on its side and was slightly behind on performance, but now with the Samsung 840 Pro, it has both reliability and high performance on its side. This is pretty much all you could really ask for in a SSD and this is what makes the Samsung 840 Pro such an awesome product. End of story. Go buy it when it comes in October. For those interested in reading the enire spiel, here goes. Performance wise, the Samsung 840 Pro is a champ. It’s capable of upwards of 500MB/s incompressible sequential reads and sequential writes, which is pretty much where the SATA 3 6Gb/s interface is going to max out at. More importantly, it’s also capable of extremely fast random (small file) reads/writes, which will make typical daily use on the SSD very, very snappy. 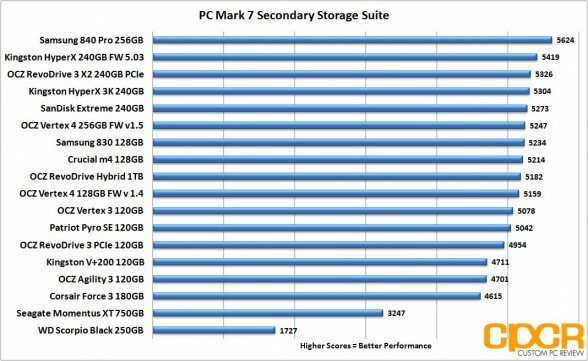 Samsung has put a lot of focus into random read/write performance, and the benchmarking results very accurately reflect their efforts. With double the random read/write performance of the Samsung 830, the performance difference will be felt in day to day operations. While the perceived performance increase won’t be anywhere near as dramatic as the difference between a traditional hard drive and a SSD, it will be there. One thing to consider is that the Samsung 840 Pro is capable of maintaining this level of performance no matter if the data is compressible or not. When picking drives, one that is capable of consistent performance irregardless of data type is always preferable to one that will drop in performance as soon as incompresible data is introduced. Design is once again excellent with the Samsung 840 Pro as it seems like Samsung hasn’t really changed all that much in this regard. On the exterior, the 840 Pro’s casing is slightly less impressive as Samsung has gone with the “sandblasted” smooth metal finish rather than the “hairline” brushed finish, but then gain who cares. Most of us probably aren’t even going to see the SSD in a typical computer case or in a notebook anyway. 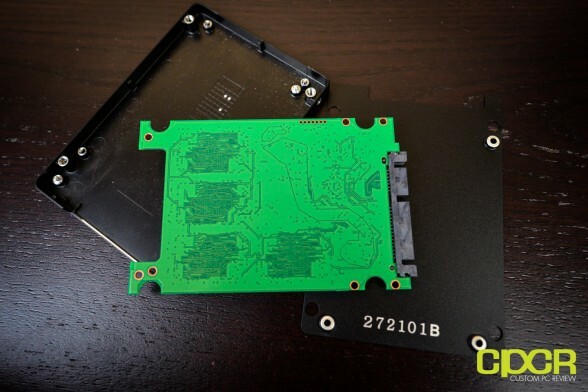 On the interior, the major difference is that Samsung has removed the thermal pads that were included with the Samsung 830. I can’t say for certain if this will be an issue or not in extra hot environments, but it shouldn’t be an issue especially with the drive now consuming only an estimated 0.068w at load. 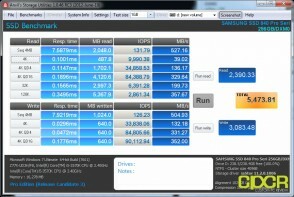 Update 09/30/12 – Power consumption testing may be found on the Samsung 840 250GB review here. Pricing on the Samsung 840 Pro is expected to be around $99.99 for 64GB, $149.99 for 128GB, $269.99 for 256GB, and $599.99 for 512GB and the official release timeframe is set for October of this year. Looking at the performance, I definitely expected that the drive would arrive in the upper tier in terms of pricing and it is, but this isn’t too bad considering this is the “list price”. For reference, the older Samsung 830 256GB launched at around $322, the OCZ Vertex 4 256GB launched at around $280, and the Intel 520 240GB launched at around $300. None of these drives are currently anywhere near their list prices and I’m fairly confident that the Samsung 840 Pro will likely begin hit that sub $1/GB barrier which should make the Samsung 840 Pro the drive to watch out for in the coming months. Update 11/20/12 – Samsung 840 Pro’s are now available. Retail pricing as of 11/20/12 in the chart below. Warranty on the Samsung 840 Pro is a full 5 years, which is a warranty period that only certain high end Intel and OCZ SSDs carry. It’s a rare thing, and I think it speaks volumes as to what kind of reliability one can expect from a drive so it’s definitely nice to see that Samsung has finally jump on the bandwagon with this one. Despite all the testing, validation, positive long term reviews, etc. of an SSD’s reliability, it’s always nice to have a 5 year warranty to fall on just in the case something goes wrong. 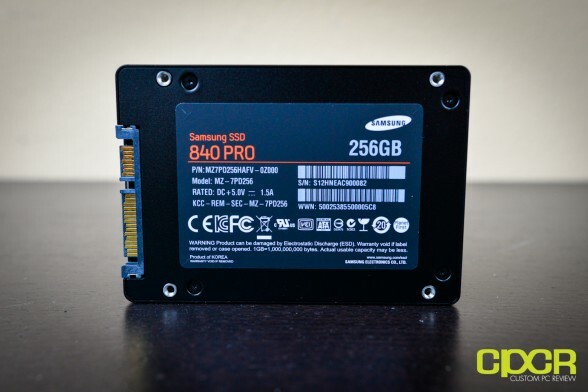 The Samsung 840 Pro 256GB SSD not only looks good, it’s one of the fastest drives on the market, it’s reliable, and it’s not priced too exorbitantly either. Looks like Samsung has pulled all the stops on the 840 Pro and it’s definitely a very worthy successor to the Samsung 830. Highly recommended! Special thanks to Samsung for making this review possible! 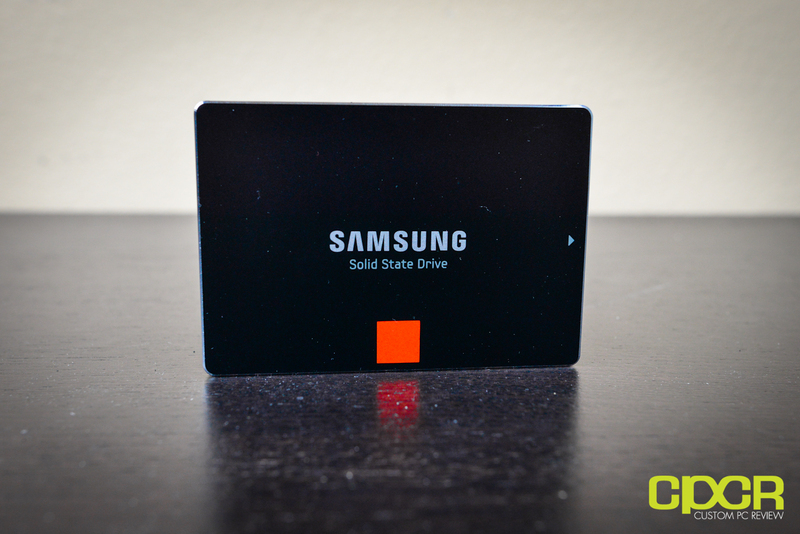 Don’t forget to check out our review for the Samsung 840 250GB! What a crazy performance! 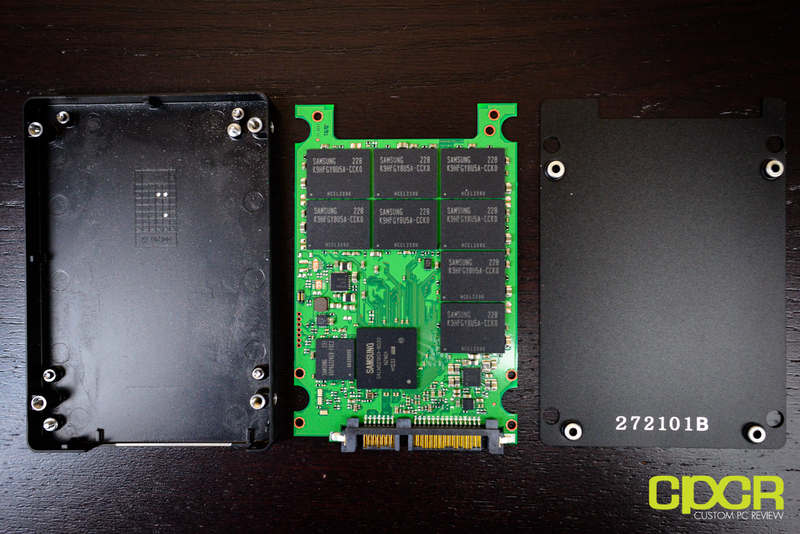 Now we see the ultimate SSD within SATA3. 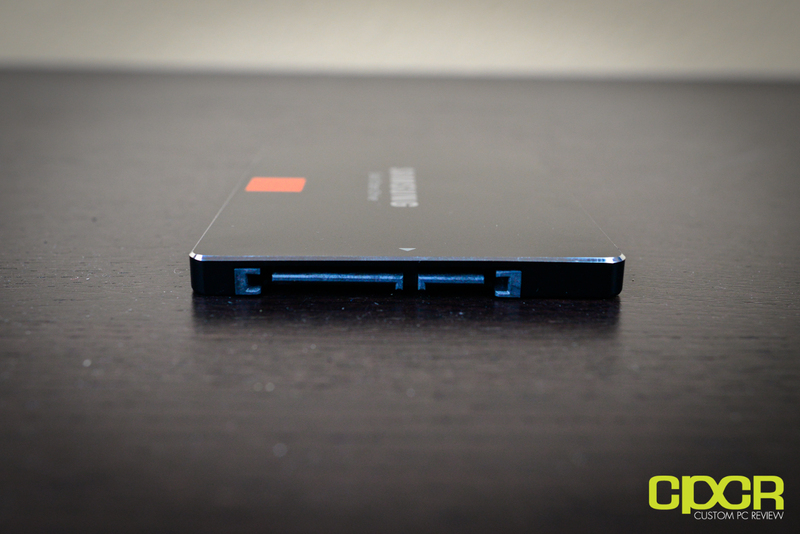 This is definitely the most powerful SSD on the market. I’m gonna buy the 256Gb version but I’d like to see a review of the 840 (no-Pro) just to realize if this Pro model is worth the extra money. The non-pro wasn’t ready when I published this article, but I’ll be getting my hands on a non-pro edition soon enough so a review will be available shortly. From what I’ve been seeing/hearing at Samsung’s SSD summit, the non-pro will have comparable performance to the Samsung 830, but significantly better random read/write performance. So how long do u think it’ll take for the 256gb Pro version to get to the 830’s current price point, or do u think it’ll get even lower? I don’t really want to wait too long. That I can’t say for sure since the 840 and 840 Pro won’t be retailing until next month (October), but the Samsung 840 is expected to be hitting the 830’s price point right out of the gate with the 840 Pro costing around a 30% or so premium over the 840. I wouldn’t be surprised if the 840 Pro were to hit current 830 price points by Q1-Q2 of next year though. Yup. We shall see in 2-4 weeks. I started some testing on the standard 840 already and it’s very fast as well. Samsung did sacrifice a little bit of sequential writes since TLC NAND is supposedly ~50% slower than 2 bit/cell MLC, but sequential reads, 4k read/writes are quite close in comparison to the 840 Pro. Probably the best SSD out there. The score in AS SSD is the best I have seen so far. I wonder , what version of Intel RST are you using in the test ? Wtf? You can buy 2 Samsung 840 Pro 256GB drives for $540. But a 512GB drive costs $600. Somebody failed math class :-(. And you failed your economics class. Agree that the 840 is good product. But this is a biased, at least a narrow minded, review. should cover more in depth about TLC vs MLC, and data from Passmark. You are just confusing 840 Pro and 840. 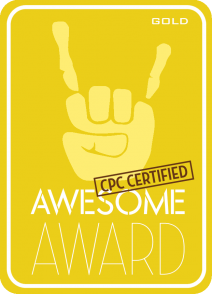 840 Pro uses MLC.